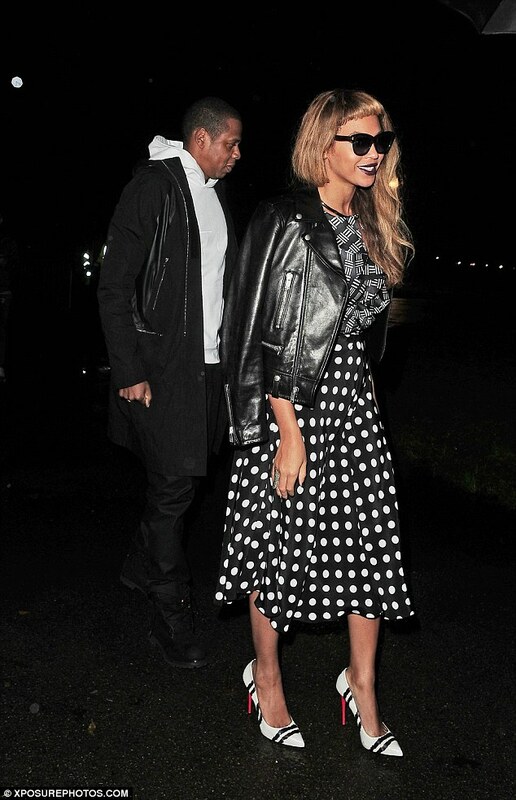 Clash of prints,Monochrome,new bangs and with Jayz,Beyonce out and about in London.. 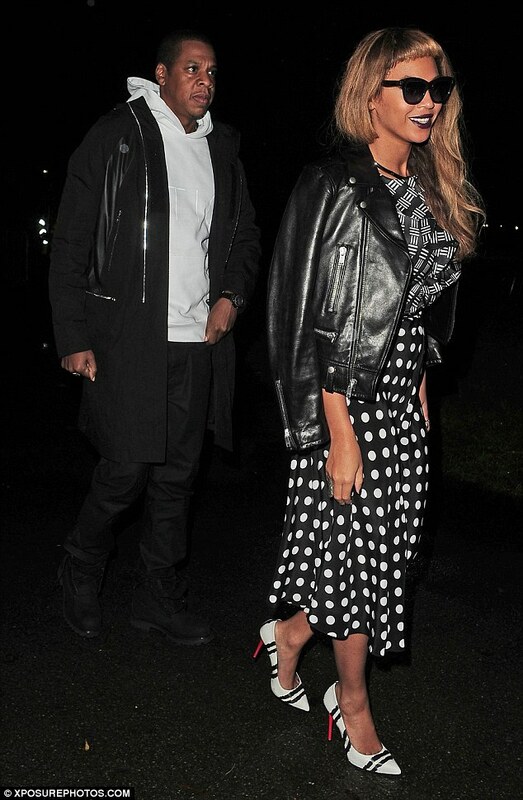 So Bey and Jay have been hitting the streets of London visiting Art Galleries and all that..
Bey has been making some fashion choices,with some clash of prints,monochrome trend and all that.. BUT! 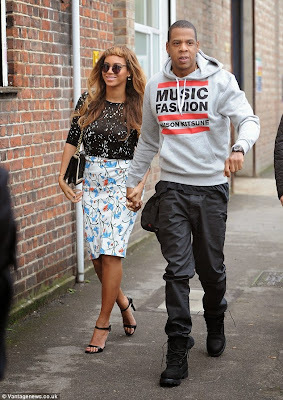 its the hair thats got people really talking.. saying beyonce with all that money and her hair isnt totally on point I mean I saw a comment somewhere that said "Beyonce's wig looks like she cut it by herself in the dark" Heheheheheehe.. Do you agree is Beyonce's new hair that bad? ?